As the Samsung Galaxy S10 launch is coming closer, we are getting more details about the upcoming phones. 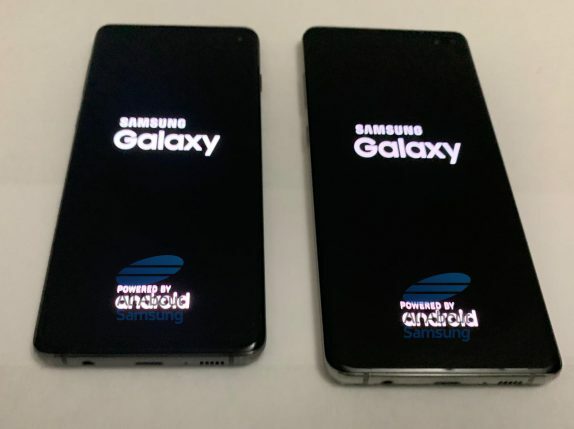 After several leaks and rumors, now Galaxy S10 and Galaxy S10+ live images have surfaced together. 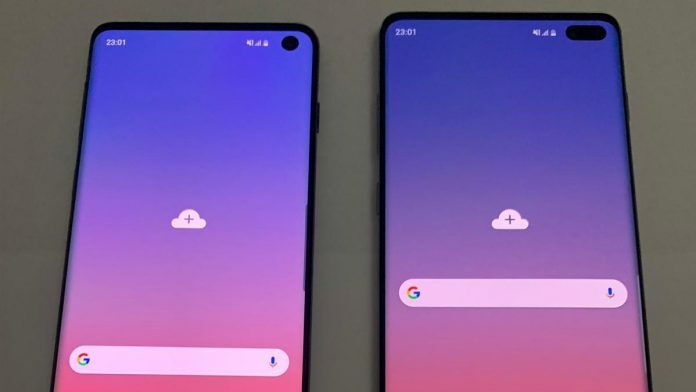 As we already know from the previous leaks, the Galaxy S10 series will sports new punch-hole display, the live images confirm the same. 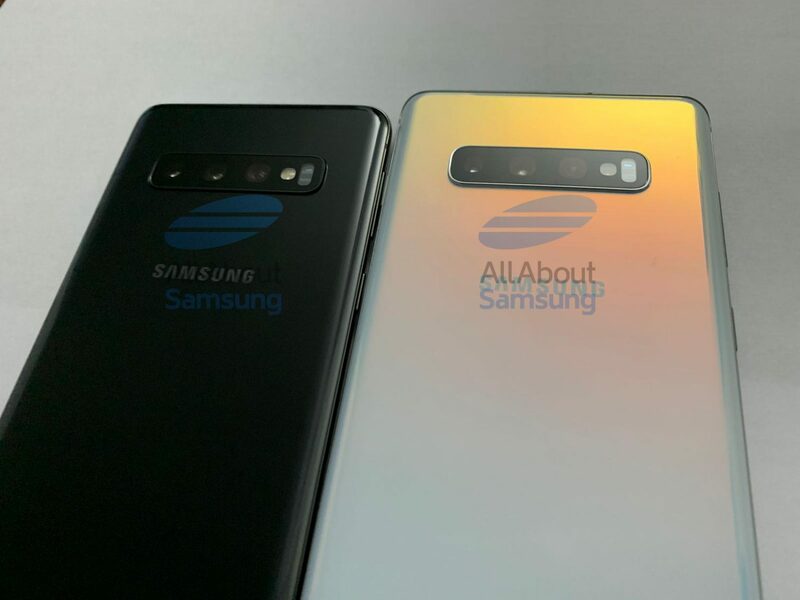 The Galaxy S10 and Galaxy S10+ live images are leaked by All About Samsung. As per the images, the Samsung Galaxy S10 will sport single front camera with punch-hole design and Galaxy S10 Plus will have a dual-front camera. 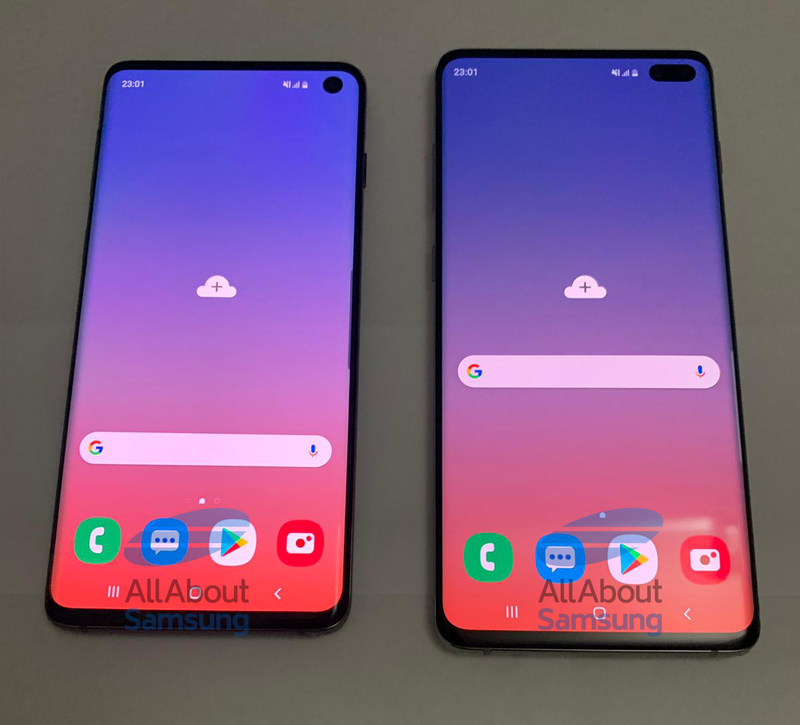 So, the Infinity O display is wider than on S10 Plus than Galaxy S10. Further, we can also see a noticeable chin at the bottom and the side bezels are narrower than before. This will offer a better screen-to-body ratio. Both devices sport a USB Type-C port, 3.5mm headphone jack, speaker grill, and primary mic at the bottom. The Samsung Galaxy S10 will pack four camera lenses: three on the back and a single camera on the front. While the Galaxy S10 Plus will also have a dual front-camera in addition to triple rear cameras on the back. However, the camera specs are unknown as of now. The leaked images also show the boot screen of both the phones. Samsung’s previous phones usually show the model name in the bootloader animation, but here it just reads Samsung Galaxy without mentioning the model name. If we talk about the hardware specifications, the previous leaks suggest that the S10 will sport a 5.8-inches Infinity O display while the S10 Plus will feature a similar but bigger 6.1-inch display. The flagships will be powered by the Exynos 9820 8nm SoC or Snapdragon 855 SoC in the US. The Exynos models will also come to India. This latest Samsung chipset comes with Tri-cluster CPU, integrated NPU, and up to 2Gbps LTE-Advanced Pro modem. The Galaxy S10 series will be launched at Samsung Galaxy Unpacked event in San Francisco on February 20.